The first thing I did was to trace the plan for the top onto tracing paper. I am using the Torres 1864 model drawn by Roy Courtnall. 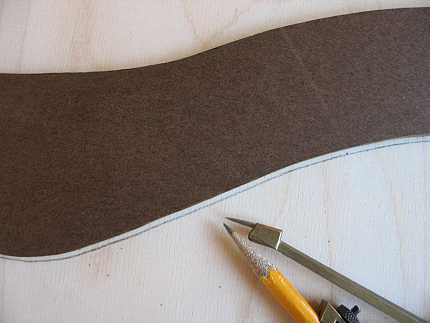 After doing that, I made my half-template of the body shape, using 1/4" tempered hardboard. Indispensable to all this planning, of course, was my partner, Maggie, whose tail you see in the right side of the photo. She made sure I was doing things carefully. I took a break Thursday evening to go with my sister, to see Ed Gerhard perform at Freight & Salvage in Berkeley.....All I can say about Ed is WOW....what an amazing fingerstylist!!! Today I made the template for my mold. 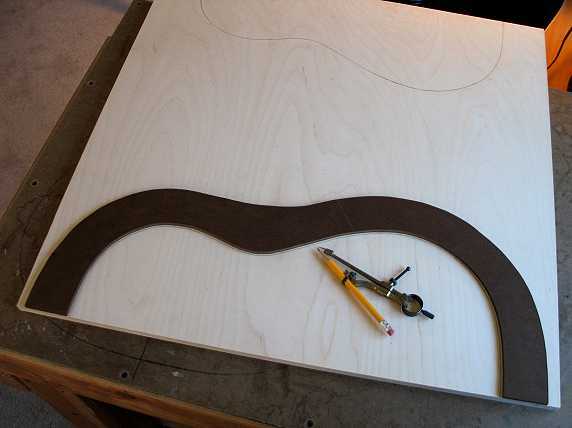 I plan to make a solid mold, of two layers of 3/4" plywood and one layer of 1/2" plywood, to end up with a 2"-thick mold. 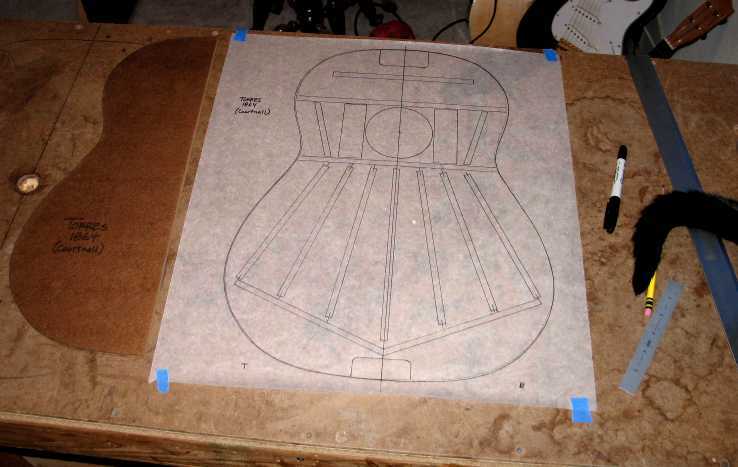 I then used the mold template to trace for my side bending form. I needed to make the bending form a bit smaller, to account for the thickness of the spring steel slat and the side. 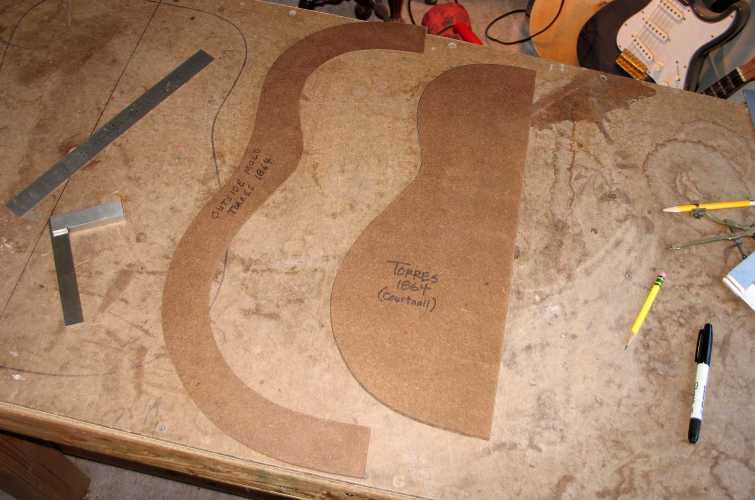 I set my compass for that measurement and ran it along the inside of my mold template, to draw the outline for the bending form.